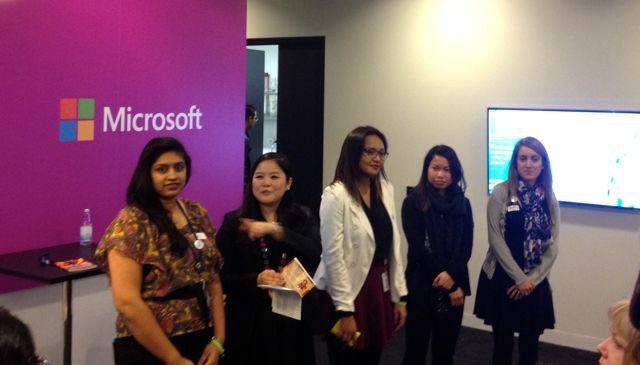 2nd July 2014 - The Tech Girls Movement had an amazing day at Microsoft in Sydney, hosted by the ACS. 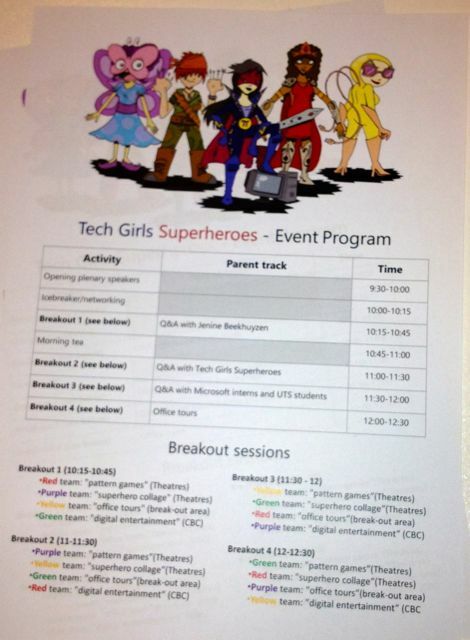 Many forward thinking mums and supportive dads bought their daughters on te school holidays to meet the Tech Girl Superheroes and to have a fun tech day out to learn more about what #techgirls do. 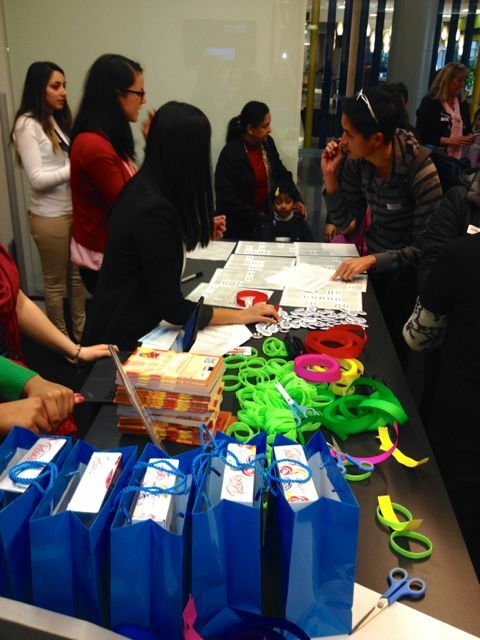 Nearly 200 people gathered to inspire to be Tech Girl Superheroes or to support their daughter's tech curiosity. 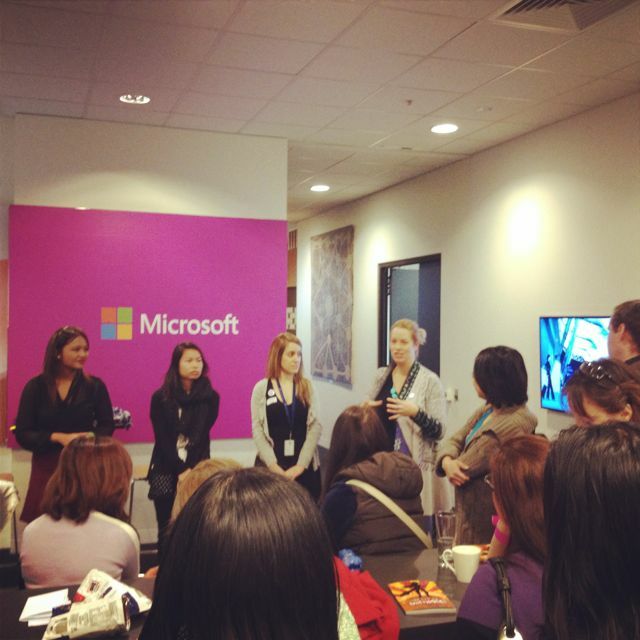 Our very own KATgirl from Team Microsoft opened the event and ran a fun icebreaker for all of the girls to get to know each other. Jewella gave an inspiring talk busting tech myths, and then Pip Marlow, the Managing Director at Microsoft who is a true Tech Girl Superhero, gave a motivating speech. Pip emphasised the importance of keeping at maths in school, and how technology is part of every industry. 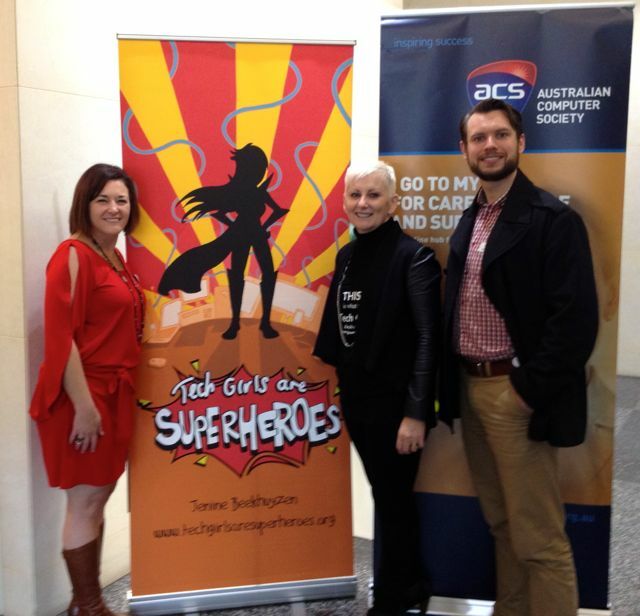 Our 2014 Search for the Next Tech Girl Superhero patron Marie Johnson came to share her wealth of experience, along with Tech Girl Superhero Helen McHugh. 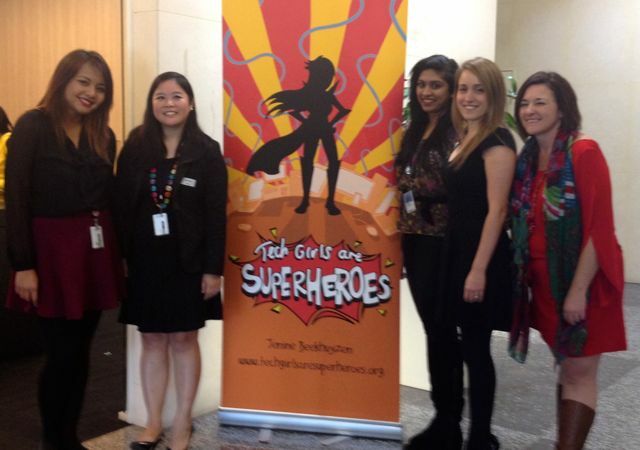 Enter today and get the chance to come to the first ever Tech Girl Superhero Academy in December 2014! 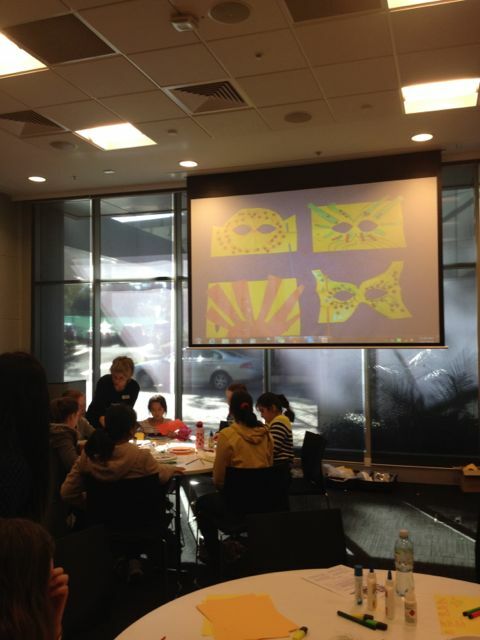 Jewella, Team Microsoft made up of KATGirl, Femfighter, SKYGirl, Eureka, Sipher, and Babelbish participated in Q&A sessions with the parents, while the girls did tours of Microsoft to the gaming lab, to the executive boardroom, and they made their own Tech Girl superhero masks. 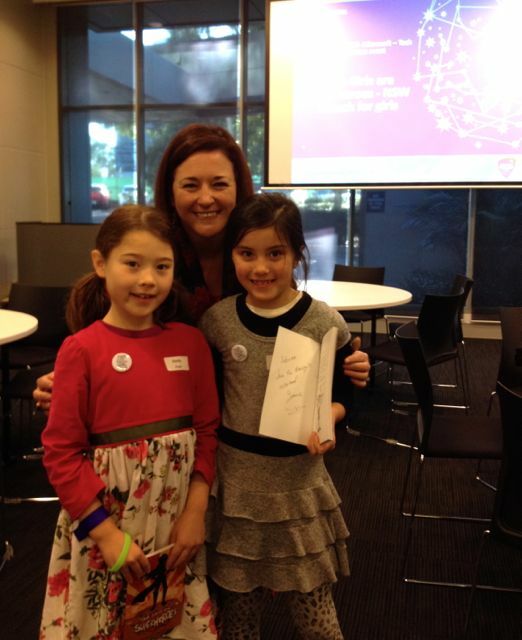 How inspiring are these tech girls in the making? There is more to this picture below on the left. We have a secret we will share with you very soon, we will need your help! See you next time! More to come soon! Stay tuned.